Now we have started our journey. I´m going to write in English, so my relatives around the world can read and understand. First day we had 810 km ahead of us up to Sundsvall, were we are going to stay for the night. It was raining the whole way up to Stockholm. It poured down and it was no pleasure to drive. But we went to better weather. After that we past Uppsala, on our way up, the clouds starts to disband and the sun begins to shine. The first day was just a transport up to Sundsvall. The second day was one of the goals. A historic day to explore the Rambergs family´s time in Sweden. At first we went to Gudmundrå were the family was living and Jaakko was born. 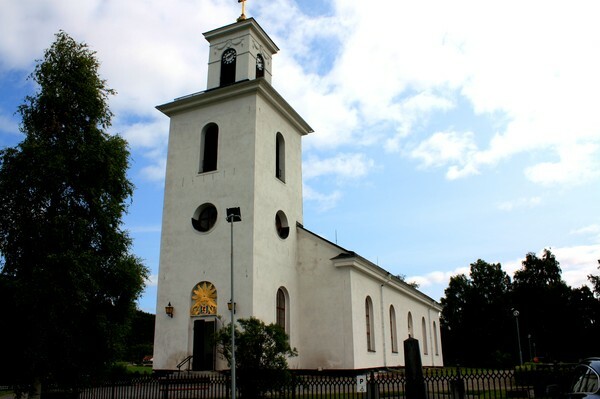 We found the church of Gudmundrå. 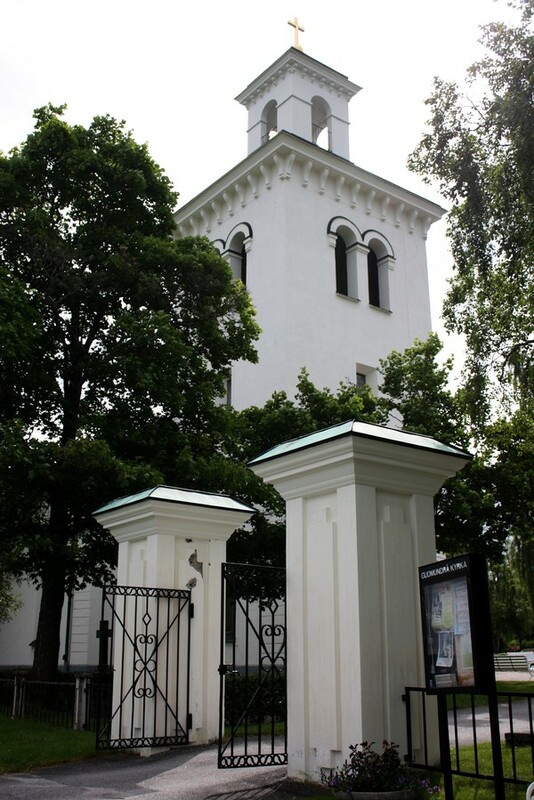 It was built 1801, which means that It is probably the same church were Jaakko was baptised. After the church we went to a community center. Here we found old buildings from the past that was reserved, amongst the buildings there was a saw mill moved from the riverside nearby. 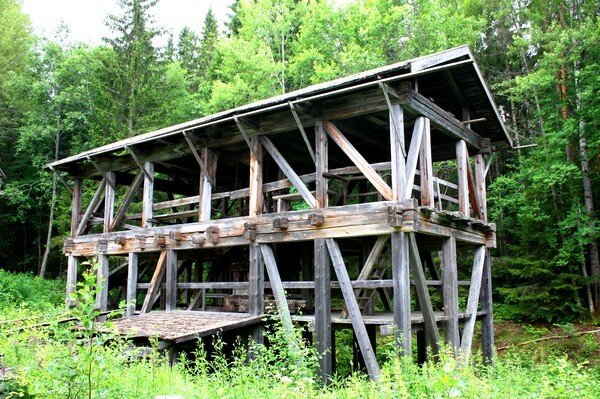 It was built 1870 so it is a bit too late to be the mill where Tuomas (Jaakkos and Kalles father) worked. Gudmundrå is not a village it is more an area in Kramfors. From Gudmundrå we went to Bjärtrå. We took the bridge that goes over Sandö and to the other side of Ångermanälven. 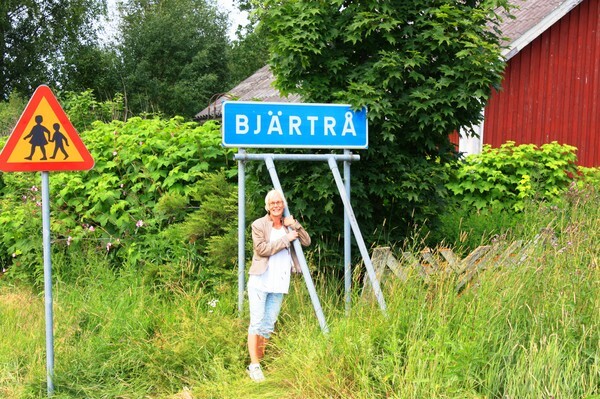 Bjärtrå is a little village and obviously we went to their church. 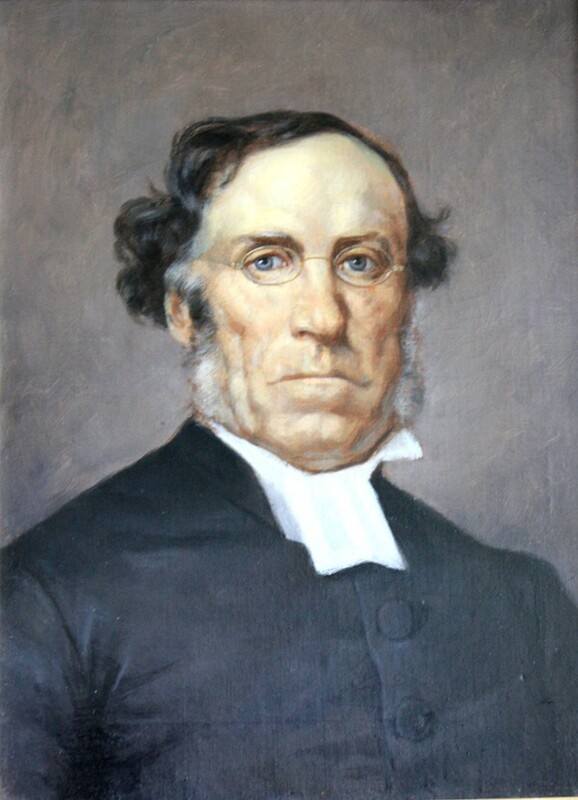 In the church we found a painting of the priest who was the churchpriest year 1859-1889, Erik Jacob Lindén. 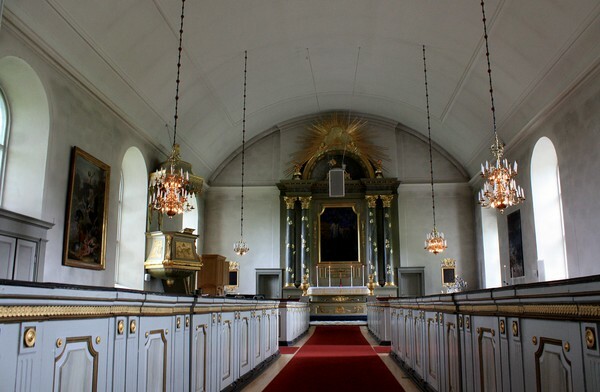 He was probable the priest that Baptist Kalle Ramberg. When we were at the church, we asked an older couple if they knew were there was a saw mill in the middle of 1800th. They remembered it and showed us the way. I did not have any hopes to find anything. But we found trails on the spot. 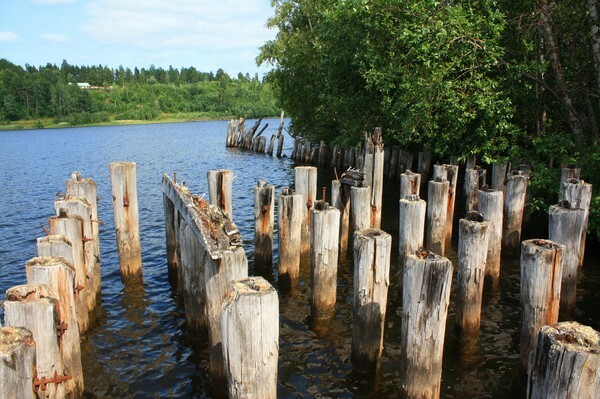 We could see the poles in the water. The ground, that the saw mill was built on. My husband was laughing at me and my excitement. 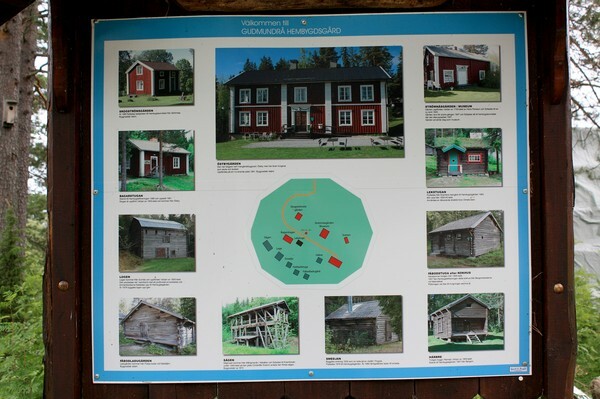 It can be the saw mill were Tuomas Ramberg was working.